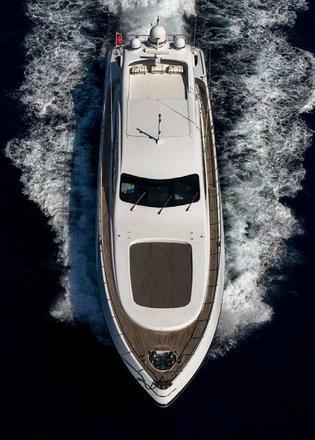 The stylish appearance of this sleek, sporty yacht with her streamlined form makes this stunning yacht the object of many an envious look as HERCULES I races through the Mediterranean waters at an exhilarating 30knots. 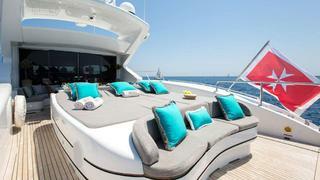 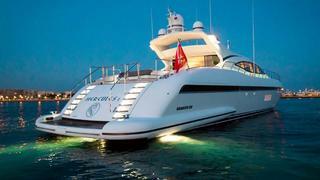 Clever design packs a heap of features into this gorgeous yacht. 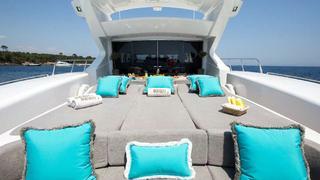 The interior of the luxury charter yacht is a blend of high quality materials providing charter guests with a relaxing, understated living space. 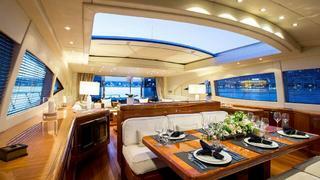 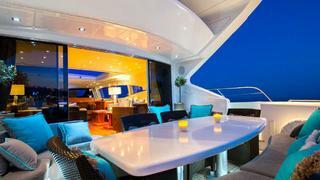 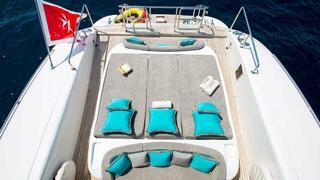 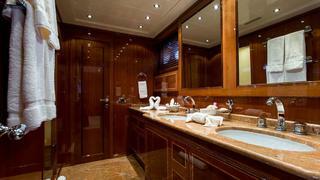 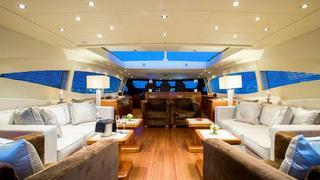 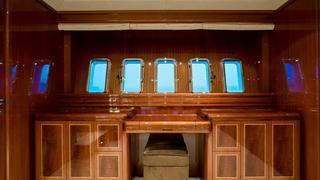 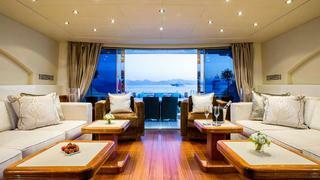 The main saloon and dining area adjoins the aft deck and has a sliding hard top roof. 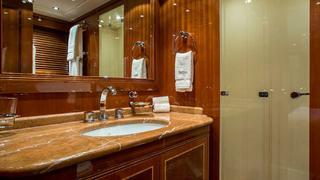 HERCULES I can accommodates up to 9 guests in four en-suite staterooms – all of them very well sized, well decorated and comfortable. 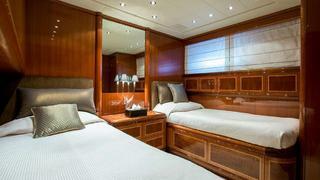 The two double cabins fills the bow of the yacht, aft of which is a spacious twin, while aft again the particularly spacious master fills the full beam of the yacht and offering a twin basin shower room en-suite. 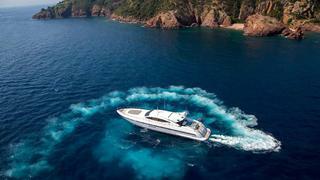 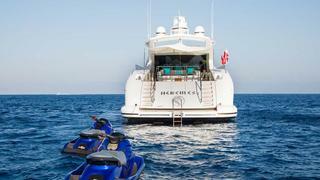 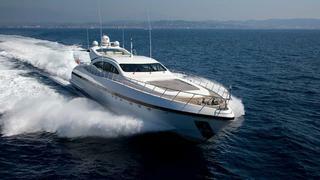 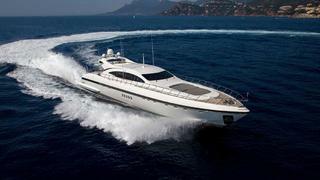 Not bad for a luxury charter yacht whose horsepower-packed engine room fills almost a third of its hull. 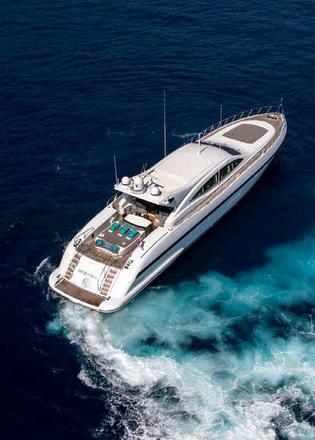 Whether sipping a cocktail under the stars, relaxing in the deck Jacuzzi or feeling the exhilaration of skimming the waves of the Mediterranean, this impressive charter yacht offers something for everyone.